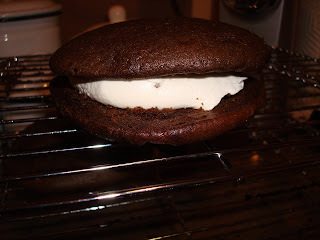 The long awaited whoopie pie tutorial is here. I'm going to try to make it as easy as possible. 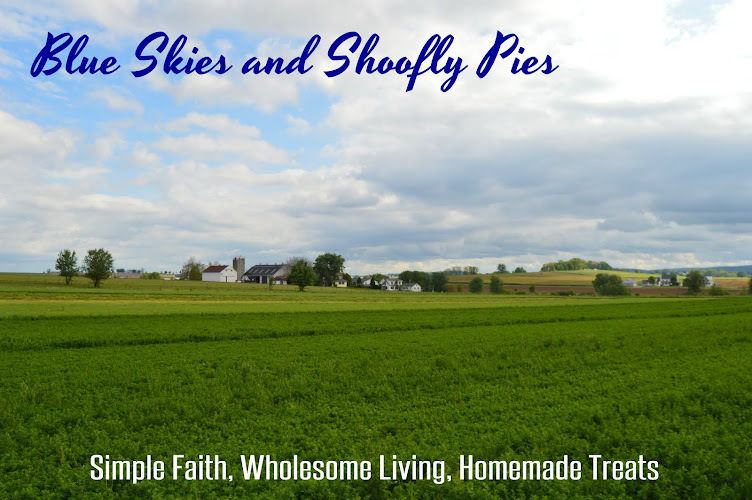 Thankfully, whoopie pies are a pretty standard recipe, and although there are a lot of variations on the theme (red velvet whoopies, mint whoopies, pumpkin, peanut butter, etc.) the basic ingredients for your chocolate cream-filled whoopie is pretty much the same. 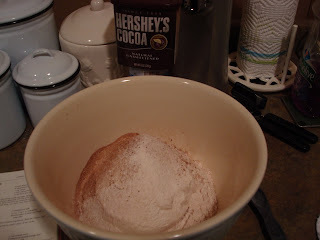 Sift together the flour, baking soda, and cocoa. 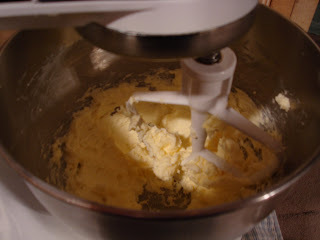 Use your mixer to cream together the sugar, salt, shortening or butter, vanilla and eggs. The goal in creaming it together is to get the dry ingredients to make little air pockets in the shortening or butter, so it is light and fluffy. 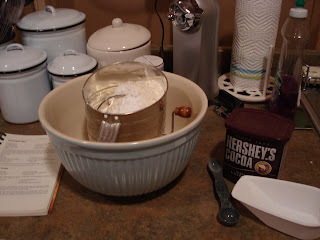 After you have creamed it, alternately add the sifted mixture, water, and sour milk to the mixing bowl. If needed, add a little flour to the milk to help thicken. 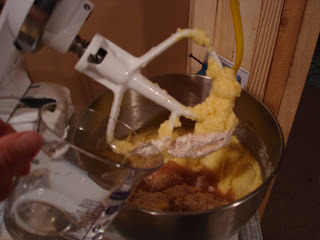 Then, make sure it's fully blended into a batter. I use a spoon or spatula for that. 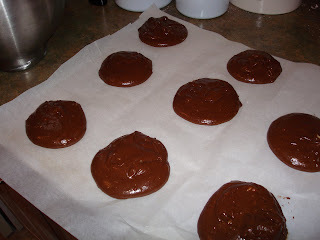 Drop the batter by the spoonful onto a greased cookie sheet (I use parchment paper). Bake at 400 until done (10-15 minutes) and then cool on racks. Beat the egg white first, then add mix in the rest of the ingredients. Beat the mixture well. As always, I offer full support and would be happy to answer any questions. Yum yum yum! I like your short cut. I don't like using just one part of the egg in a recipe, even though I have tons to waste. CWJ- I know what you mean. I have four egg yolks in the freezer right now from another project. Beth- These freeze great! In fact, you can put them all in the freezer and even eat them frozen. I wrap mine individually in wax paper and then seal them in a freezer bag. The marshmallow creme- I don't use it, but some folks really like it. Use 1 and a half to 2 cups (I think that's about a jar's worth) and mix it in with the rest of the filling ingredients. Good morning Monica I haven't been blogging much just getting back to it..So I'm a little behind.. This recipe sounds so good I will have to try it. You know whoopies are big here in Maine. It is a little different than mine..I would make this morning but I'm out of sugar and eggs.. Can't wait to read more on your blog..Thanks for the tutorial is always helps me.. I would love to try making these for my family. They look so chocolaty and Mmm. Mmm. Good!! I am kind of wondering your opinion. Do you think the cream filling for the pumpkin whoopies taste good with the chocolate? I made a batch of the pumpkin and oh my! That cream filling is AMAZING!